Volunteers are essential to the success of Lone Star Lab Rescue. We are always in need of volunteers to do all sorts of jobs, from making a few phone calls to coordinating a fundraising program! All of our rescue efforts are organized and run by volunteers. Some of the ways you can help are listed below, but don't hesitate to contact us about other opportunities. Whether you can help for a few hours once in a while or can commit to weekly support, the Labs need you! We'd love your help, whatever you can give and whatever you can do! Fostering See Foster A Lab for more information. This is one of our biggest needs - the more foster homes we have the more dogs we can save! Take a rescue dog into your home for a number of weeks, get to know the dog, do some basic training in manners etc., until we find a suitable forever home. Lone Star Lab Rescue pays for all vet care and provides a crate. Photography Eye catching pictures on our web site are critical to attract adopters. Unfortunately, we are not the greatest photographers! We would love help from a talented photographer to showcase our dogs at their best. 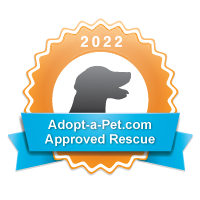 Adoption Application Review Review incoming applications assigned to you, screen them, make contact, get to know their needs and educate if necessary (quality food, keeping dogs indoors); guide through adoption process and follow up after adoption. Help at Saturday Meet & Greets You can help out at our weekly Meet & Greet by holding dogs, talking to and helping potential adopters and giving out information. Donate Our adoption fees rarely cover our expenses of medical care (our biggest bill even with great discounts from our vets! ), supplies, prescriptions and other general operating expenses. We are a 501(c)(3) organization, so all donations are tax deductible! Any experince that could contribute to the effort is welcome! Ready to volunteer?? Fill out the Volunteer Form!! !